White chocolate can be enjoyed as a hot drink and is a very popular drink at restaurants, tea gardens and Hotels. Delightful taste, and does not leave an after taste of Coconut. Can be enjoyed as Hot drink. 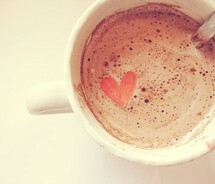 Hot drink with Hazelnut chocolate taste. The devine taste of chocolate without the sugar.